Oooohhhhh boy. When I saw what they showed last night in the previews for the rest of the season, I knew the bombarding of tweets and emails was coming. All I can say is what I reported is true. There could be a number of things that the clip of Colton standing with a ring could be. I’m here to tell you that seeing that doesn’t change anything of what I reported. We know how this show works. We know how they love to tease the hell out of things to make you think one thing when it isn’t that thing. I’m not worried about what was shown last night. So everyone can take a deep breath now regarding the extended preview for the remainder of the season. Nothing that I saw changed anything. And they really blew it with the Colton-holding-a-ring-box sequence which I’ll show you on page 2. But hey, Colton loves hyping up his season on Twitter so I’m sure he enjoyed the hell out of it. I’m sure you saw my tweets yesterday in response to what he was tweeting about. If he wants to tease his audience with stuff that may or may not happen, I will gladly step in and lay out the facts. That’s what people want anyway. Yesterday, he teased that the fence jump was possibly happening in last night’s episode. Which, in and of itself, is a perfectly normal thing to tease since it’s the one clip most people are talking about this season. HOWEVER, if you’ve done an interview this season where you already admitted that the fence jump happens during the overnight dates (which you can read right here), that pretty much tells me he’s treating his own fans as idiots. If he’d never said that in an interview, then of course he can tease it all he wants. Hell, tease it every week if you think that’ll get people to tune in. But we all know when it happens because YOU TOLD US, you putz. So stupid, and that’s why he needed to be corrected. Don’t forget to send in your “Reader Emails” and “Dr. Reality Steve” emails for this week’s columns. We haven’t done “Dr. Reality Steve” in a couple weeks because I’ve had one email. If I get em’, I’ll post them. But I need to get them first, so send them in and I’ll guarantee they go in this week. “Reader Emails” looks good so far, but you can send in whatever you want so we can have more this week. One thing mentioned in “Reader Emails” last week that may have gone unnoticed is that those who’ve asked about casting, final casting weekend for “Bachelorette” has already happened. Guys have already been to LA and done their testing. Already have a few who I’m pretty sure are going to get cast. I also know at least one location they’re going to next season within the US. That stuff will be revealed as we get closer to “Bachelorette” filming which is a little over a month away. Of course, there will always be a few cast members that get pushed through last minute and weren’t part of final casting weekend, but they are the exception not the rule. They pretty much know already who their guys are going to be and none of those guys know who the “Bachelorette” is yet. That’s how it works. I’m guessing we’ll find out on the ATFR like we do every season, and if they keep up with their trend from the past two seasons, we’ll meet five of her guys live on that show. A former contestant and friend of mine Melissa Schreiber contacted me recently because she wanted to share her story. She was on Brad Womack’s second season, then “Bachelor Pad” season 2. Melissa suffers from severe anxiety and decided to share what she’s been through on her blog she started here. Take the time to read it. I’ve never suffered from anything like that, and I’ve heard about anxiety before, but never realized how bad it could get. I’m sure there are some of you out there that can probably relate to Melissa’s story, so please, take the time to read to see what she’s suffered through pretty much her whole life. Thanks to Melissa for opening up and sharing this with everyone because I’m guessing that wasn’t easy. Colton was doomed from Day 1. These insta thirsty girls were never in it for him. And last night showed it big time. The mature ones bail, and the nor ready girls got deer in the headlights when Colton said some girls who left there are girls left who aren’t ready. Cassie in particular, but Hannah G too. His 2 favorites were obviously freaking over those conversations knowing it hit home. Not it’s time to watch the meltdowns happen. Some girls are gonna look really bad for not bailing sooner–or not even coming on the show–when others girls did after they say the not feeling it or not ready. Ridiculousness of the format is getting exposed again. I guess I didn’t watch closely enough as I didn’t see any of what he’s talking about in his blog. This season is so painful. Can it be over already? It’s a sad season. Colton shows no real interest in getting to know any of the girls. He’ll patiently listen to a story, and empathize with them. But he doesn’t really ask many questions. That’s why the connections are so superficial. All Colton really cares about are superficial things. Maybe that’s a tad more honest than guys like Nick who would ask those questions, but really didn’t care. Colton is just a nicer version of Juan Pah-Blow who blatantly embraced the superficial and completely blew off anything deeper. So, I think the response to Colton is similar, absent the contempt that JP got from some of his girls. But the result is the same. The girls are seeing that they can’t get anywhere emotionally with Colton. So they’re peeling off. Given all this, the ending makes sense. He loses interest in almost everyone that hasn’t already lost interest and left, and somewhat predictably the one he has interest in doesn’t see anything there. That’s it in a nutshell with Colton. There’s nothing really there except some superficial good looks and a smile. Beneath that? I don’t see anything there. This is the worst season since JP. Well, going by these comments we are all in agreement about Colton and this series so far. The episodes are still merging into one for me..with no stand out moments. I find myself ‘doing a Colton’, by switching off and not taking any real interest. My cup of tea and choccy biccy is so much more interesting! The thing that bugs me most about Colton is the childish way he speaks. Has anyone else noticed that his sentences are choppy and short and uses very general terms? He comes off like a toddler speaking his first words/sentences. Almost simple-minded. And his chipmunk face makes him look the part. How are these women falling for him??? Methinks they’re as brain-dead as he is. What a horrible boring season. PLEASE NO Caelynn for Bachelorette. Following up the simpleton Colton with a beauty queen?? I agree, short choppy sentences from Colton is being kind. He really can’t string a half decent sentence together….it’s either him saying how much he likes the girl, blah, blah, blah or he’s kissing them (Steve’s comments about Colton’s kisses made me chuckle). Have we actually learnt anything new about him or these girls yet?! He doesn’t ask a single thing or tell us anything new about him, there’s zero discussion (at least from edit’s we’re seeing). He said that he’s had people give up on him, and I can all see why…… you have to have something to give, or willing to share with another, in order to receive it back. I think Robb22 has a point, that’s Colton being another Juan Pablo, a version of him at least. I meant to add (I wish there was an edit button!). …as for Colton being a ‘simpleton’, well the lights are on, but there’s no-one home. 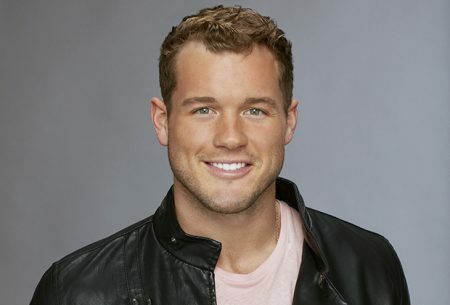 There is a pretty good comparison between Colton and JP. Both were marginal pro athletes living in a bubble. The male athlete often can be very superficial since they travel a lot and spend a lot of time on their athletic pursuits. I know a very successful male athlete, who’s a good guy, but he sleeps until 11:00 then heads to the ballpark. Any time he’s not playing, he’s sleeping or chilling out. So there can be a tendency to not really understand much of anything that doesn’t relate to their sport. It doesn’t mean they are bad guys, just emotionally stunted and single minded. JP was kind of a jerk, and Colton isn’t that. But the lack of depth is exactly the same. I’m sure it’s very frustrating for any girl. Tia and Colton’s “relationship” is an excellent case study. What was telling was that Colton enjoyed Tia’s company, but really didn’t show more than moderate interest in her personally. I imagine that his relationship with Ally Raisman was much the same.